Over decades of assisting companies in healthcare, insurance, non-profit and retail, there are three essential adaptations that always play. For improvement to stick, you need the right stickem. Stickem? Remember the old glue sticks as a kid? 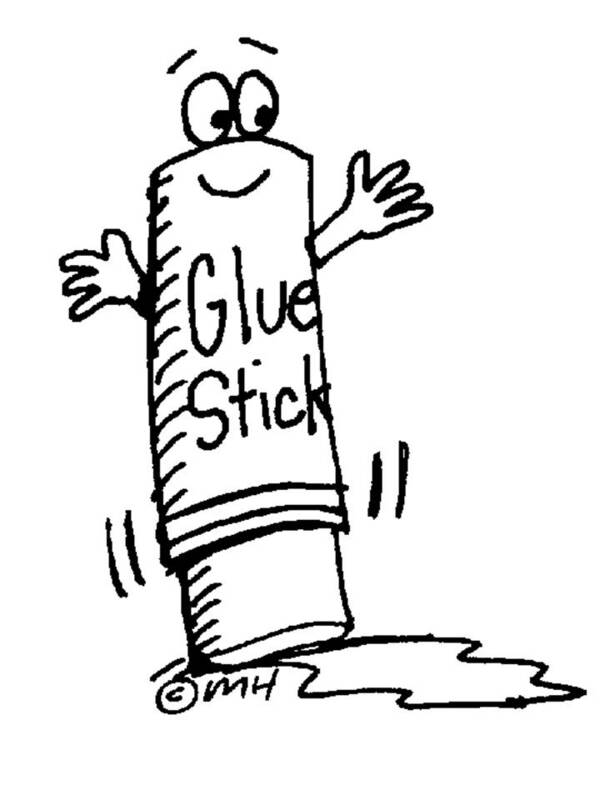 We called any type of glue out of a pot or a stick, stickem when I was a kid. That’s right. Start by adapting staff. Raise Up Others. It is so easy to let folks down. Find a way to raise them up. You will grow when others grow around you. You stand on their shoulders. Replace Yourself. It is essential that find others to replace your skills and expertise. Probably one of the most frightening activities of your career will be replacing yourself. What if “they” don’t need you anymore after you replace yourself? There is always someone looking for a new leg up, a new improvement, a new approach. There is a promotion waiting for the right person who is free because of great management development of others. Visiting with one shop ten years after working with them was enlightening. One of my early hires during reengineering had risen to become the shop manager. We were visiting at a national conference over a cup of coffee. He looked me in the eye and said, “We still use the PAL method.” Puzzled, I asked him what he meant by the “PAL” method. He explained that I had initialed every new memo and organizational tip and note with “PAL”. Those are my initials. He and others had learned concepts of operations and improvement through those notes and continued using them ten years later. They did not need me, they had learned me. Reinforce Service. Get that team to engage a full service mentality. In Plants and In House operations have bad reputations for service. Do whatever you can to find a new service mentality. Never rest on service. Years of acculturation can kill service. You find yourself not hearing what you really need to hear. The same old tired product line is unexciting to your organizational customers. They want pizzazz and look and feel and different sizes and approaches. Sure, there is a penchant to live within the norm at every organization. Trust me, the norm is boring. You need some spice in your product line. A recent in-plant manager talked to me about finding right support product for banner stands. A year ago, there was no capability to do banners. Now, the largest customer was demanding access to the new product line and they wanted it in volume repetitively. Foresight to acquire equipment and train staff had turned into a “have to” product line. Find collateral services that accent what you already do so well. Can you add multi-channel support of email and landing pages to your direct mail? Can you add direct mail with variable impact to your brochure printing? Can you add online ordering and fulfillment on-demand to static box shipments of marketing collateral? What can you add that makes sense? Customization is a must. Everything you do needs variable integration and segmentation design and capability. Challengers in other departments, companies, other thought leaders, the market, all these need to be attended and addressed. Expect them and respond with wisdom and research and cooperation. Some of your biggest supporters will get mad when you launch a new product that helps another supporter. People just like to be in control and keep it all compartmentalized. That is, until they need something new that you don’t supply. You have to lead and laugh and remember they will come demanding more after getting upset that you grew. Adapt your language and approach to each different audience. It is amazing how many sets of ears exist in our limited universe. Each has words they love to hear and ways they love to see information. Become an expert at telling the same story in multiple ways. C Suite listens to different actions and words than your staff. These are results oriented, cost reducing, compliance happy, and culture protecting individuals. Speak the language. Make the emotional and logical connections with them. Help them see. They have seconds to assess new information, not hours. Be brief and positive. When working with a client to add a product line, we had a C suite luncheon. Using new techniques of landing page survey, we acquired food and drink preferences. At the luncheon all the food and drink was ready and organized by name. C’s came into the room expecting a normal corporate cattle line. They received custom service. As the client presented the new information ears and eyes were open and ready for new input. The client took orders for that product line continually over the next year out of that one low cost personalization that touched the C suite ego. One top executive mentioned that luncheon a year later. To him, it was the most professional he had been treated in 30 years of leading his corporation. Your customers don’t care what you do for others. They just want to know what you do for them personally. Find that one product line or service that is most meaningful to them and make notes. Find a way to make it appear easier at the right time on the right day. Find ways to customize and improve it. Working with one client, we modified a “book of forms”. They were shipping these to each new customer. Through some simple cooperation with the IT web folks, we created a custom variable post card mailer using mainframe data feed. Everyone struggled with the concept. The forms went to online download. The cost went down over $120,000 a year. We kept the customer for the client. Other business that came into the shop from that customer more than made up for the $60,000 a year in print that went away. Influencers are looking for ways to grow their contribution. Show them how you can help them do that. Help them move up in the eyes of their clients and customers. Find out the influencers in your organization and find ways to advance their cause. It is amazing how you can help someone in administration by simplifying business card ordering processes. Whew! There you are. Here are three essential areas to adapt. Staff, Marketing, and Product all need adapting to move forward. Of course, there are more areas. But without these, the others are meaningless. Love your customers enough to talk to them in their language. Love your products enough to do them with excellence and continuing improvement. Love your staff enough to build them into a better body of service. Good and brief content to consider. The 6 Key Aspects of Marketing 3.0 | Big Dog Innovations | Marketing 3.0 – Integrated New Media, Social Media, & Optimized Traditional Media Media Marketing. Posted byPhil Larson July 23, 2012 July 23, 2012 Posted inOffice Workflow and EquipmentTags: Bottom Line Results, distraction, productivity, work, work flow1 Comment on What distracts at work? Live poll is revealing. Looking for an experienced email blast vendor, any suggestions??? | LinkedIn. This discussion hits on many of the options in the simple marketing techniques being used in many instances today. Somewhat missing is emphasis on the human elements and interactivity needed to realize significant gains. Email blast in many instances is a practice being frowned upon by the DMA and top marketers. Of course, when a prospect or customer is given the ability to opt in with verification, email with appropriate content can be powerful and meaningful. Meaningful and relevant and responsive use of online approaches can bring customer retention and loyalty. Walk purposefully and focus on the right folks. Thanks, Phil, for taking the initiative and providing the thrust to key these key alliances activated and growing. Shepherd OK is always a part of teams looking to make a big difference in bottom line of companies and organizations.